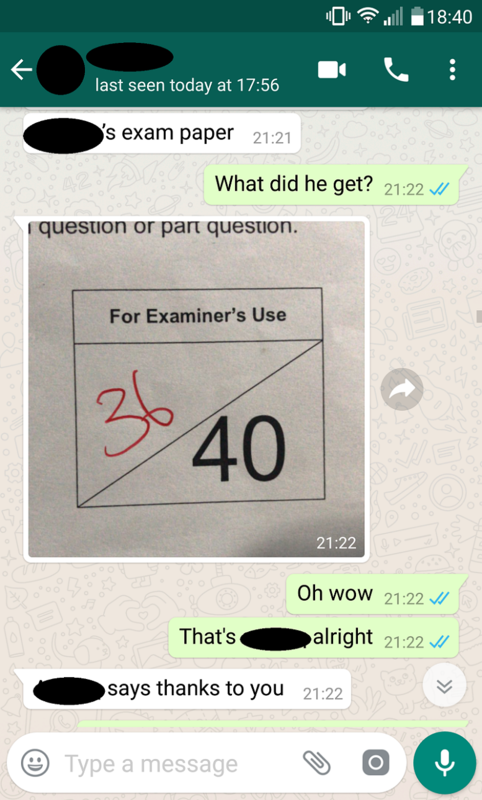 Having been with me for barely a month, looks like my p5 student has improved remarkably from passing to acing her exams! 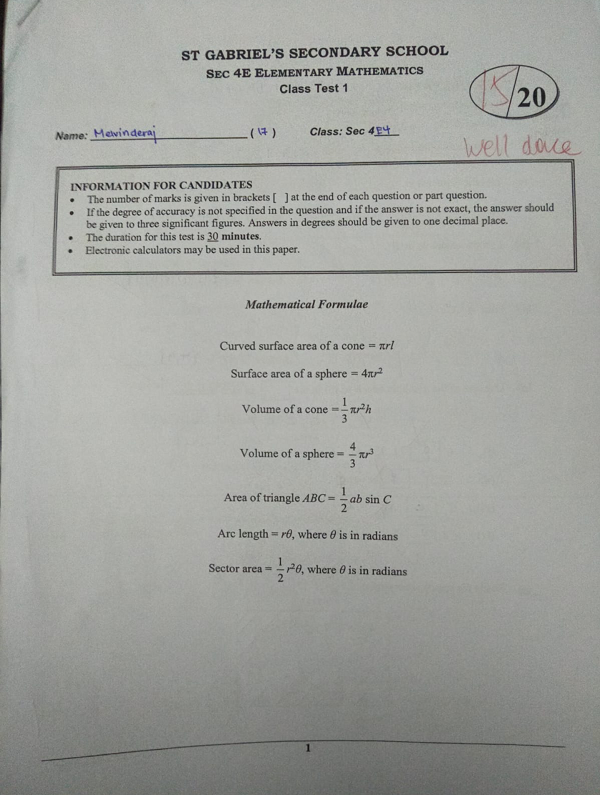 After barely passing his Secondary 3 Express SA2, my student has yet again showed that if anyone is willing to work hard, an improvement can be seen eventually. 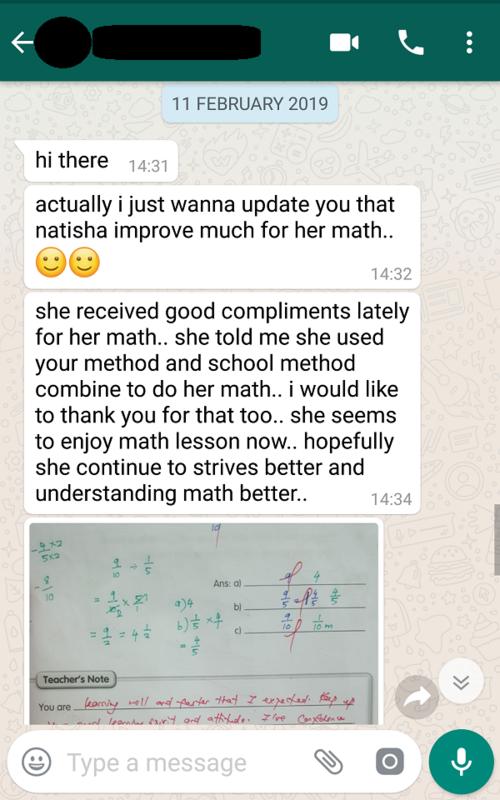 When I first got this student, I realized that his basic understanding of Math was strong. However, he was only borderline passing his math exams. 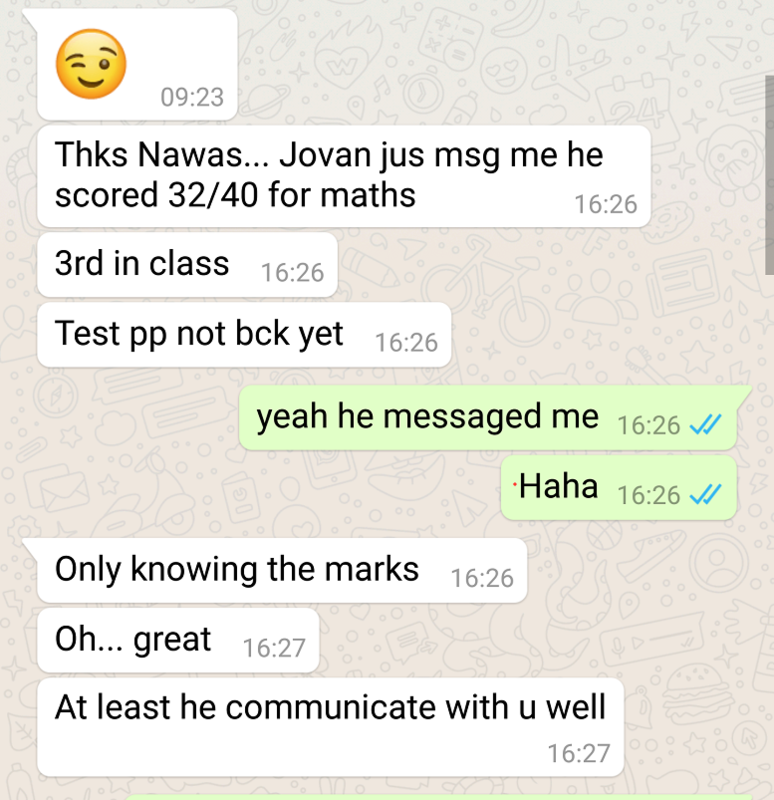 With some guidance from me and a lot of hardwork from the student himself, he has become one of the top scorers in the class within a month. It goes to show that if a student's foundation is strong, it would take a relatively short amount of time to improve a student's marks given the right guidance. 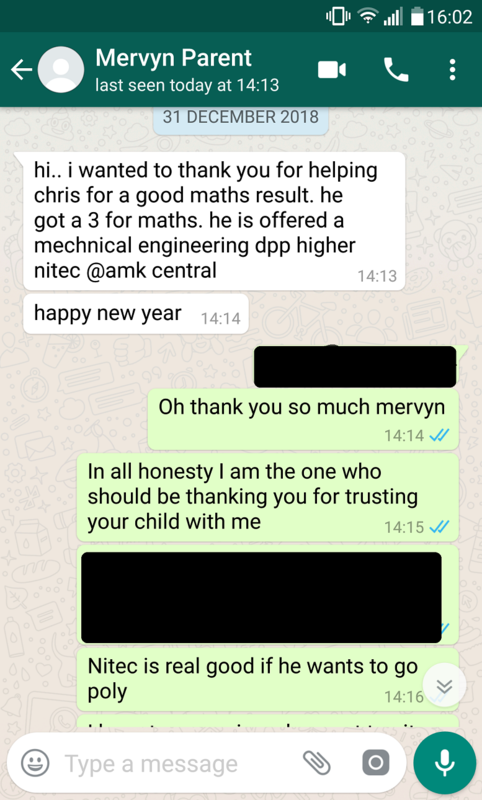 When the parent of this student approached me 2 months ago, his child was struggling with mathematical concepts and had been failing his math papers. 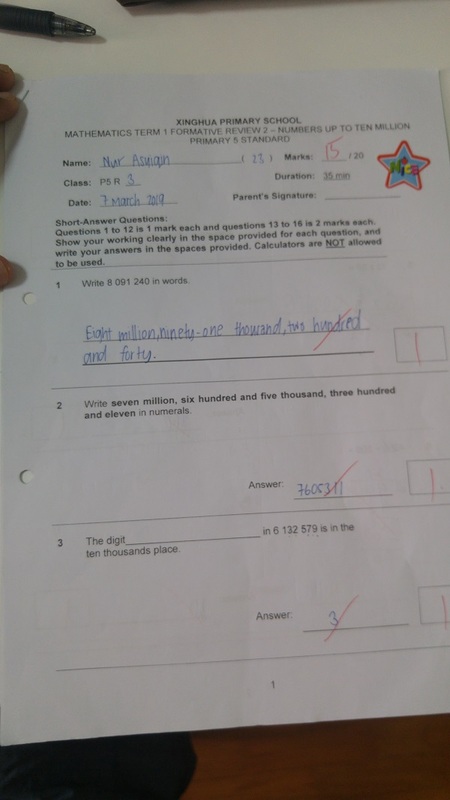 As a result, he decided to change his child's math class from standard to foundation. However, upon working with the child, I realized that the child was bright. He just needed some guidance in organizing his thoughts. 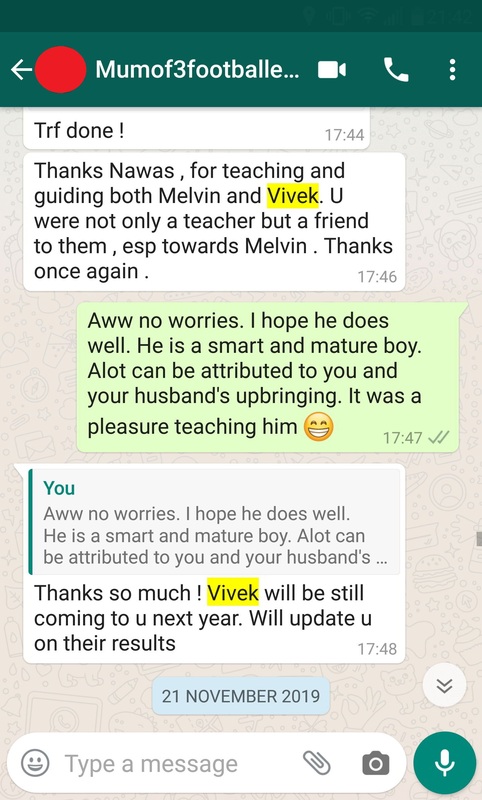 After joining my P6 Foundation class for just a matter of 2 months, his grades have shot up remarkably. 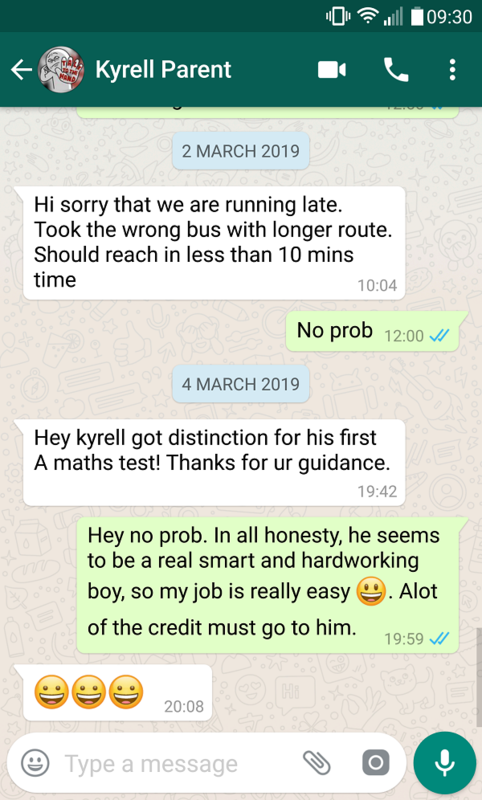 I am really proud of him and it shows that with just a little bit of guidance and the right attitude from a child, anyone can improve. When this parent approached me to enrol her child into my P5 standard class, the child was scoring marks which were just enough to see him borderline pass. What further took me by surprise was the fact that they stayed all the way in Toa Payoh and were willing to make the long trip to Hougang just to send her child to my class. 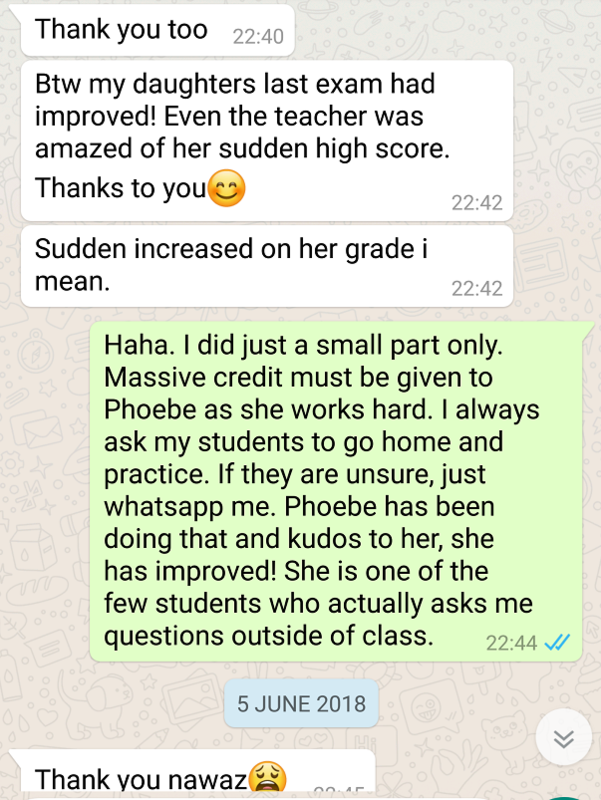 Fortunately, after just two months, via some guidance from me and a positive attitude from him, he has shown his true potential by improving at such a rate which has seen him go from “just pass” to the second highest in class. Kudos to both him and his parents who have sacrificed for one another! This student of mine has been with me for the past three years. 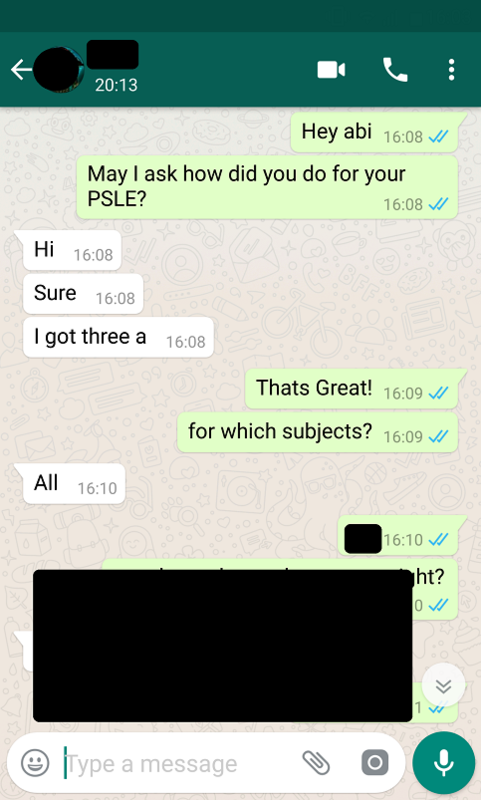 I started tutoring him during the last few months of his PSLE. He would then go on to score a distinction for his Math. 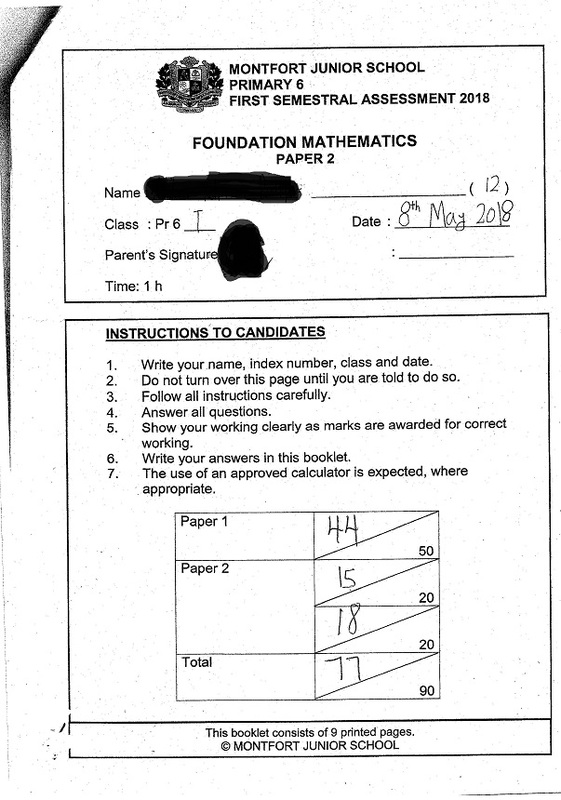 Currently, he is in Secondary 3 and shows that if your foundation in math is strong, it would be easier to understand math when moving on to higher levels. This case highlights my ability to let students discover their potential when given enough time and patience with me. 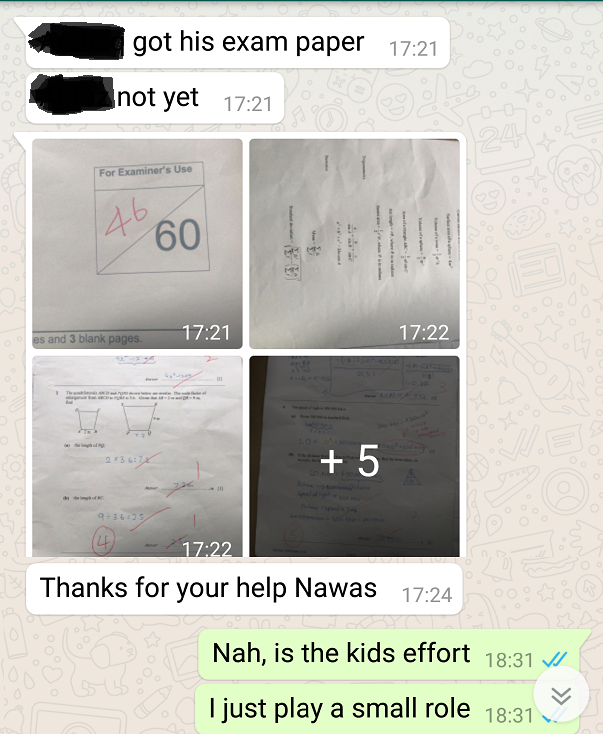 It is important to let students know that the marks required to achieve a "good grade" is relative. Regardless of the score, a child always achieves a good grade if they had put in the best of efforts. Not only do the top-scoring students get all the limelight. I am also extremely proud and appreciative of my students who have shown improvement!